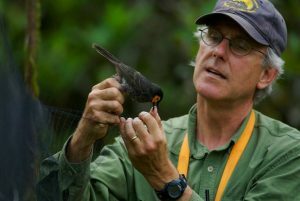 The Sutton Center is excited to be hosting Dr. Bruce Beehler, an ornithologist, naturalist, conservationist, author of numerous books and lecturer from the Smithsonian Institution for a speaking engagement on May 9, 2019 from 6:30 to 8:30 pm. 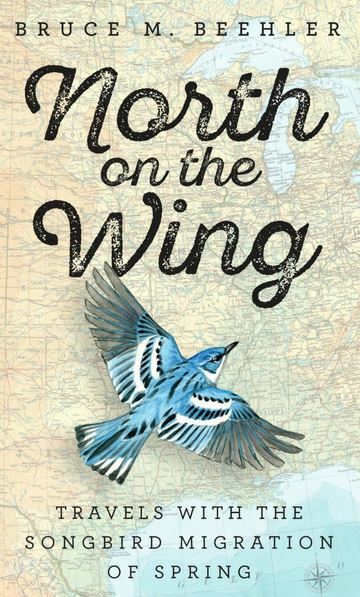 Dr. Beehler will be speaking about his most recent book, North on the Wing, in which he describes his 2015 journey following the spring migration of warblers from Texas to Ontario as he sought to see the 37 species of eastern wood warblers on their breeding grounds in 100 days. The evening will also feature hors d’oeuvres by award winning chef Andrew Donovan, as well as wine, all at The Reserve dining room at Grogg’s Green Barn in Tulsa (10105 E 61st St, just west of Mingo). Reservations are required and seating is limited. Proceeds from your $25 ticket benefit the conservation work of the Sutton Center. If you’re interested in our mission and would like to know how you could become more involved, please send us a digital raven.